Shorter College is a two-year, private, coed, liberal arts college affiliated with the African Metho…. 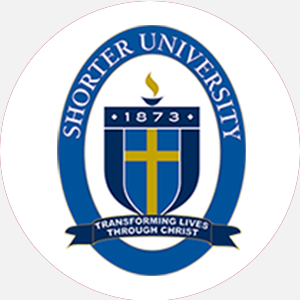 Shorter College is a two-year, private, coed, liberal arts college affiliated with the African Methodist Episcopal (AME) Church. SC was founded in 1886 as a four-year institution under the name Bethel University. In 1903 the name changed to Shorter College. It became a two-year college in 1955. Shorter College forms part of a cooperative center with Arkansas Baptist and Philander Smith Colleges in sharing resources and programs. Shorter is an open-admission school that believes everyone should have an opportunity to pursue higher education and to develop to their full potential. To this end, Shorter provides a liberal arts education leading to career degrees or liberal arts transfer degrees. Shorter College is accredited by the North Central Association of Colleges and Schools to award the Bachelor of Arts and Bachelor of Science degrees. Percentage of students receiving financial aid: 95 Financial Aid Specific to the School The Cooperative Education Program combines classroom study with related paid work experience. Students receive academic credit and full-time status during co-op. Students should contact the various departments. Music scholarships are available for students participating in music activities. Students should contact the department. President’s scholarships are available for academically talented students. Students should contact the school. Graduation from an accredited high school (or the equivalent) and completion of the following 16 units: 3 English, 2 science, 1 mathematics, 1 social science, and 9 electives; submit official high school transcript; interview recommended. A nonrefundable application fee is required. Admission Application Deadline: Rolling admission. Admission Contact: Director of Admission, 604 Locust Street, Shorter College, North Little Rock, Arkansas 72114; Telephone: 501-374-6305; 501-374-9333 (fax). A minimum of 64 credit hours and completion of core requirements, including 6 English, 3 science, and 3 social science. Campus Regulations: Mandatory chapel attendance; dress code. Campus Services: Health center, personal and psychological counseling, student employment services, remedial instruction, legal services, chapel and religious activities. Campus Activities: Social and cultural activities include theater and chorale. Leadership opportunities can be found in the Student Government Association (SGA) or the various other organizations, including the Campus Ministry and computer science, business, and dramatics clubs. Local fraternities and sororities include Alpha Phi Delta and Beta Theta. Housing Availability: Fifty housing spaces. Handicapped Services: Wheelchair accessibility. Associate of Arts: Business Administration, Education, Liberal Arts, Substance Abuse Counseling Associate of Science: PreNursing, Natural Science Certificates: AMA Certificate in Management, Child Development Associate, Dental Assistant, Medical Assistant, Nursing Assistant, Legal Secretary, Substance Abuse Counseling.